What is God Like? Wouldn't You Really Like to Know? What is God like? We all have unanswered questions about God. But this is because there are so many twisted ideas about what God is like. When His word is properly understood by allowing scripture to interpret itself, we discover tremendous light on the supposedly dark side of God. This page is the introduction to the book Light on the Dark Side of God. Each chapter will have a short introductory paragraph commenting on what the author of the book, Marilyn Campbell, has written. It will also, provide links and additional information. There is much more about the character of God on this site. Each page/chapter will end with a link to the next chapter. Return to the book's table of contents. Enjoy reading as you find answers for your question of "what is God like?" and many others. We have all seen optical illusions. A familiar one looks like a picture of a vase, to some people. But others see in the dark background instead, two profiles facing each other in silhouette. Behold God taking vengeance on Sodom and Gomorrah; the people of Noah's time; lost souls of all the ages, and compare it with the compassionate character of Jesus Christ, who refused to hurt His enemies. They should match, according to Scripture. But do they? Is it possible we are looking at an optical illusion? In recent years a number of believers have had a growing suspicion that Christianity itself has, in fact, embraced an illusion regarding the character of God - in particular the side having to do with His justice. These students of Scripture have explored some of the questions inherent in the traditional picture of a destroying God, with the result that a whole new perspective of what constitutes His "wrath" is now emerging, fully harmonious with the gentle character of Christ. That new view is the subject of this work. At this writing, society counts down the days to a new millennium. The media bombards us with predictions of science and psychics alike, telling us what to expect in the coming so-called "Age of Aquarius." Christianity, deeply rooted in Judaism and for two thousand years anticipating Christ's return in glory, has a growing credibility problem that has deepened with each passing century. Some have even declared our times "the post-Christian era." Besides Christ's failure thus far to fulfill His promise to return, other factors combine to raise questions about Christianity's ability to survive into the coming years as a viable philosophy for thoughtful men and women. Some fantasize that God is dead; science in general concludes it has defeated Biblical perspectives; the gap widens between conservatives (generally Bible-believers) and liberals (generally not). How like God to let matters go almost to the point of hopelessness and then (to borrow from the language of gaming) to play His final trump card and take the whole pot, as the world turns the page to a new millennium. Who are the "market" for this book? Hopefully, all thinking men and women everywhere. Especially would I enjoy speaking to those who have given Christianity "a pass," because they have observed the very problems in Christian thought that this book addresses. If you reject a God who burns the lost unendingly, this book is for you. If you have come to Christ as the Being who invented total other-centered love (perhaps in spite of the enigma of His, in the end, burning people), then this work will bring you enormous relief. If you are one who has never understood how the gospel works, this book is for you! God has seen fit to connect the history of truth with the history of Israel. It is therefore impossible to examine Biblical truth and ignore this ancient people, particularly when Scripture holds them up as an example for our times (1 Corinthians 10:11). Given our vital modern concern for tolerance, I hesitate to depict Israel in less than flattering terms and would never do so, except for the very plain statements of Scripture. We will agree, I am certain, that ancient Israel's history pertains not to that nation alone but to Christianity as well. Whatever is said of her is part of our own spiritual heritage. Nothing within this work should be construed as anything but an effort to take the history left for us in Scripture and to use it for its intended purpose of providing eternal, spiritual lessons. Christ came to "break down the middle wall of division between us, having abolished in His flesh the enmity . . . so as to create in Himself one new man from the two, thus making peace (Ephesians 2:14). The truth of God levels out the playing field for all humans; He is an equal opportunity Savior. No effort has been made to establish that Jesus was, in fact, the God of the Old Testament (See 1 Corinthians 10:1; John 8:58), a position far more believable now than in the past in light of this new picture of God. It is important to understand that Jesus, the Old Testament God who taught Israel, could not always instruct them as he would ideally have liked, due to their slowness of heart [See, for example, Ezekiel 20:25, 26 (KJV); Matthew 5:21, 22, 27, 28, 33-37], thus distorting our perceptions of deity. After completing this book, readers should see a new harmony between the character of the great "I Am", as the Old Testament presents Him, and that of Christ, as the gospels present Him - a harmony in favor of the compassionate character of our Lord Jesus Christ. This new view of God illuminates many questions that have puzzled the world throughout the centuries, including the mystery of human suffering. As long as we are on this earth the righteous will have their moments of suffering, as did Job and Jesus, John the Baptist and the martyrs through the ages. We cannot necessarily know the reasons for the suffering of others, but in light of this new understanding of God we can often know the "why's" of our own. Does it follow the rule that we get the master we choose to obey? Does it follow the exception that proves the rule, which I call "The Job Syndrome"? Or are we looking at other knowable principles manifesting in adversity? Other works have been and will continue to be published on this topic. Interested Bible students will want to consider the broad range of thinking from various sources regarding God's character, since all commentators do not see the matter (or say it) exactly alike. However, I must at this point interject a personal note of caution regarding the efforts of some to take this new view of God in the direction of universalism - a direction in which I and many other responsible supporters of the view affirm it clearly does not go. This work covers a lot of ground. While Christian writers have tended to focus one work on a single spiritual theme; such as prayer, faith, death, science and the Bible, that is not true of this work. It takes a number of pillars to uphold the picture of God's character of love. Therefore, in order to present this new perspective, it has been necessary to discuss, briefly, a wide range of interlocking gospel subjects that culminate in the revelation of God. A more full and complete presentation of each of these subjects appears in other works. Somewhere, in the far reaches of the past, God's intelligent creation knew the truth about His character of love. But when it became in the interest of His enemy to distort that truth and thus to alienate their affections and their trust from Him, lies were told - lies that rolled on through the ages and became more venerated as they gathered age. But now it may be that God is placing the period at the end of the sentence with a picture of Himself more wonderful than we ever dared to dream. May God guide you, as you consider Him in a beautiful new way. "Prove all things; hold fast that which is good" (1 Thessalonians 5:21). I hope you have been given a little glimpse of God to stimulate you into reading further to discover an answer to the question "what is god like?" 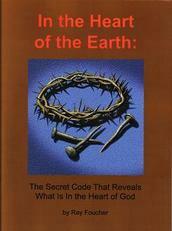 Please read on to the first chapter to learn more about how to know God.